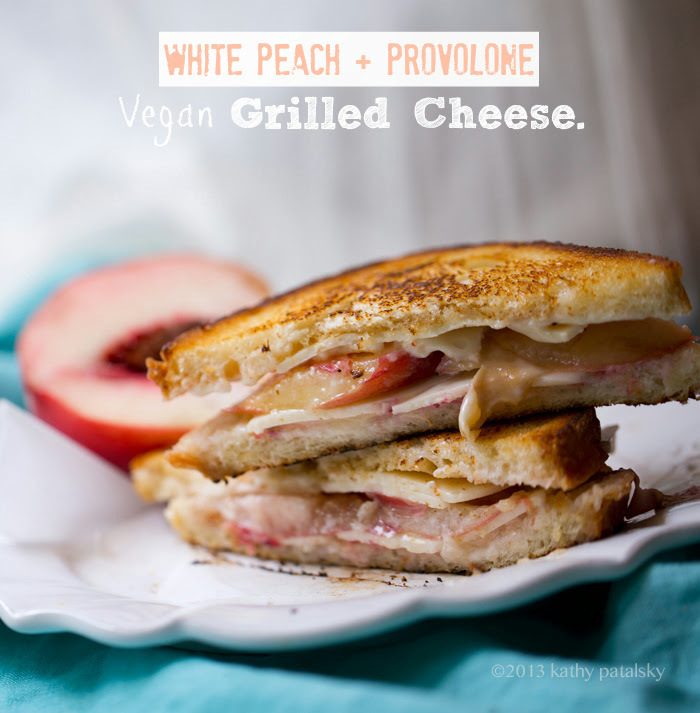 Peach-Provolone Grilled Cheese (Vegan) + Summer Picnic Tips! Bold (vegan) provolone cheese, melting over the edges of toasty golden sourdough bread is paired with sweet, juicy slices of organic summertime white peach, accented by spicy cayenne and a hint of caramel-y golden grade B maple syrup. Creative grilled cheese ingredient for summer: fuzzy tree fruit. Melty bliss. 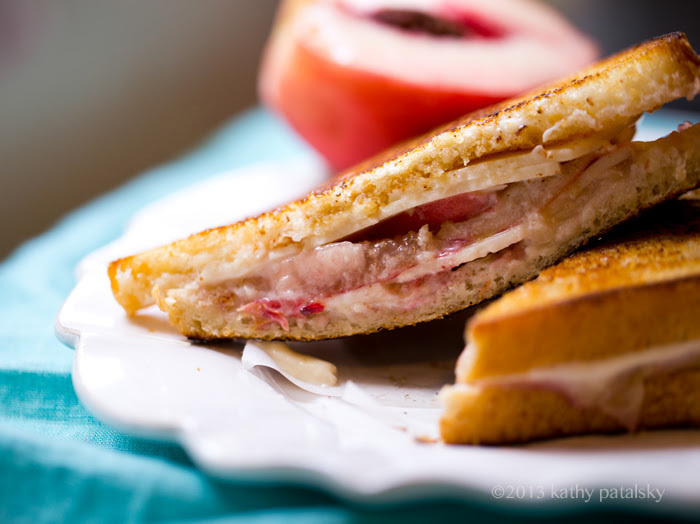 Savory meets sweet..
Vegan Grilled Cheese. It is so exciting that vegan cheese flavors have become so diverse and varied. I remember when there were only two flavors to choose from: cheddar and generic "white cheese" flavor, sometimes called Mozzarella but never really tasting like the real thing. 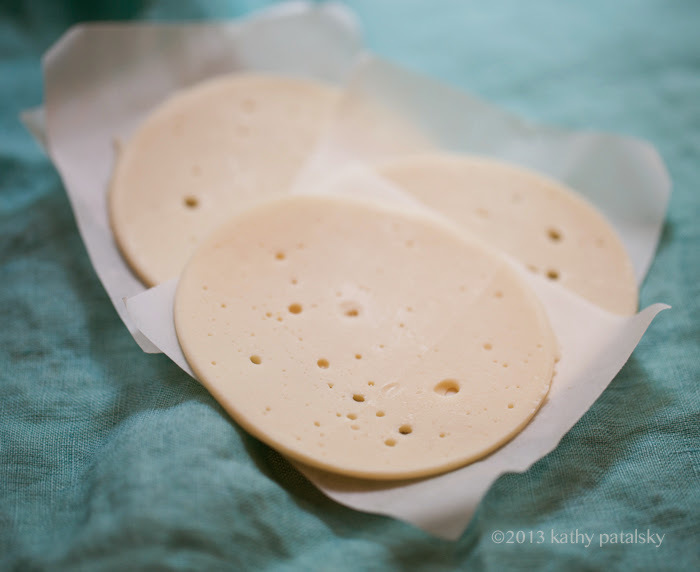 But nowadays there are SO many flavors, textures and styles of vegan cheese. You can find gourmet cheese from places like Kite Hill and Dr. Cow. And you can find a wide array of meltable vegan cheeses from Daiya. These brand new provolone "slices" are perfect for stacking onto sandwiches or melting for grilled cheese or paninis. Also check out this vegan cheese guide from VegNews: "5 Next Generation Cheese brands." Not vegan, but curious? 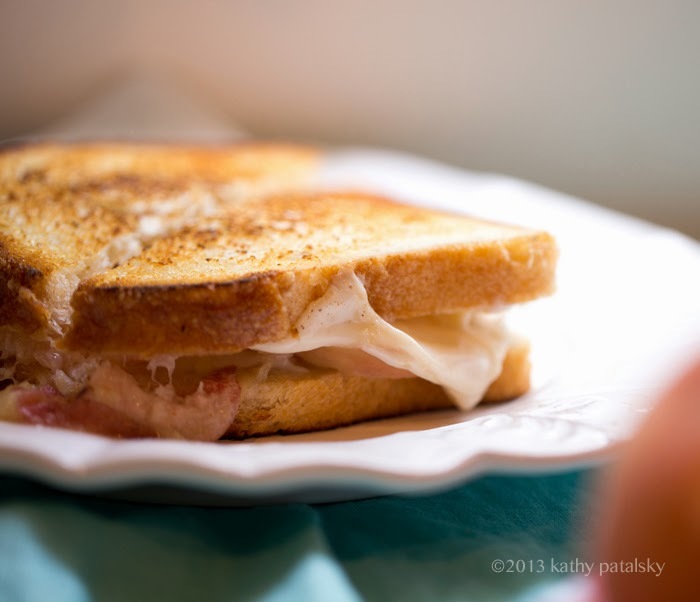 #Reinvent your grilled cheese this summer by trying a vegan cheese! You will be impressed by how far dairy-free cheese has come in past few years! 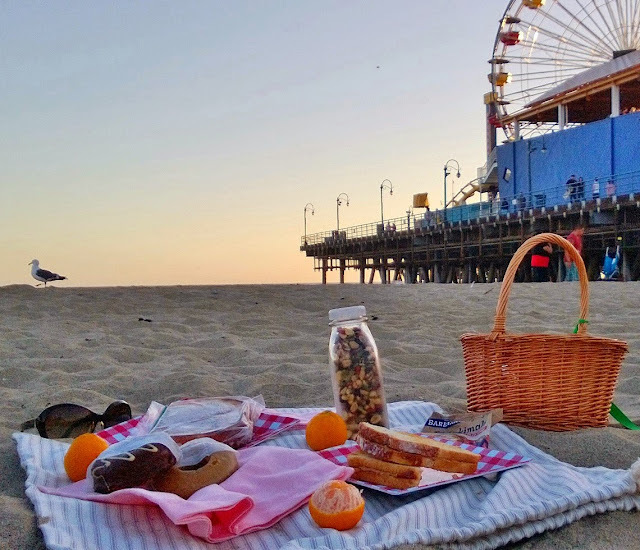 Beachy Picnic. 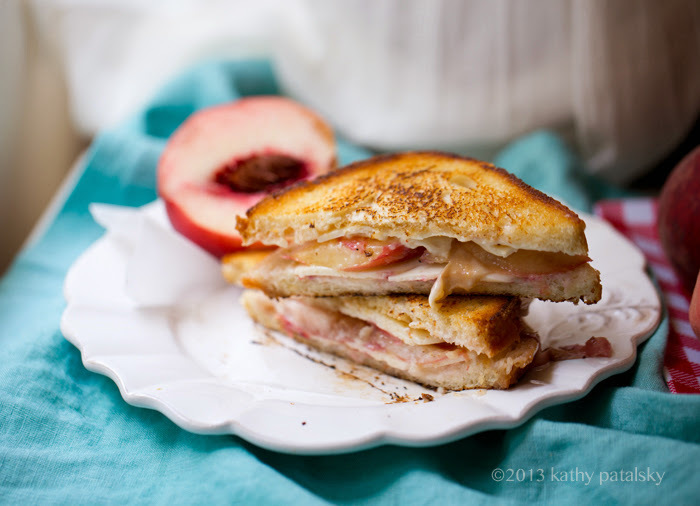 This peach and provolone sandwich is a dreamy dish for summer. And vegan cheese sandwiches taste so good on a picnic! I admit that grilled cheese isn't the best option for a beach picnic, but since we didn't travel too far for this sunset hour Santa Monica beach picnic, the cheesy sandwich traveled quite well. I made and packed it right before we left. The PB&J traveled perfectly as well. Picnic Season. 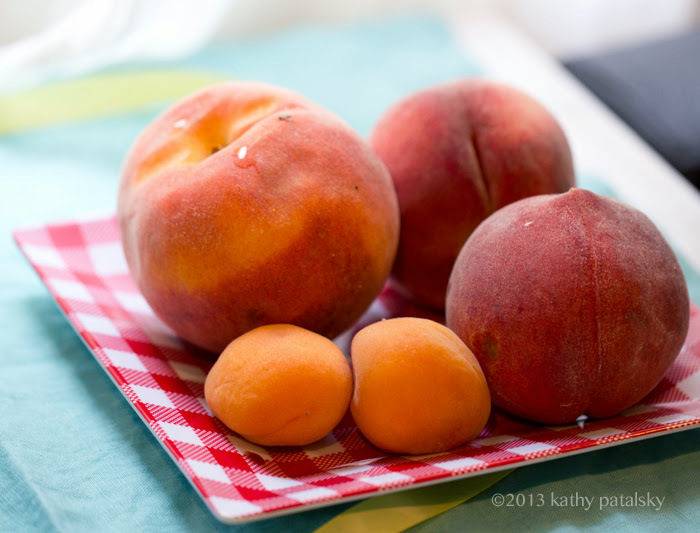 It is always fun to pack a picnic in summertime and head out to your favorite outdoor spot. The beach. A park. Hiking in the hills. Near a lake. Or heck, just outside in your own backyard. Food tastes so much better after your have trekked outdoors a bit to get to your picnic spot. 1. Bring a seat, find a seat. You do not need to have a traditional picnic table at your picnic site, but if you are lucky enough to find one, take advantage of it. If you are really roughing it, at least try and bring something small and light (easy to carry) to set your food on. You do not even need a giant blanket, heavy beach towel or outdoor "picnic cloth." Get creative with what you can bring from your house. For my beachy picnic I knew I could sit on the sand so I needed something small for our food, I found a clean laundry bag that was perfectly sized for a small spread. Other ideas: If hiking, find a flat, smooth rock to set your food on so that it is off the ground. If you have driven to a spot and only have your car, you can stand and use a popped trunk and the trunk space inside your car - or use the hood of your car as a flat picnic surface. Not ideal, but better than placing food on the ground! 3. Pack Fat. Try to choose a few foods that are rich in healthy fats and that travel well. This way you can bring smaller portions of food that are rich in calories to help fuel you. Sandwiches that include foods like nut butters, avocado (toss in lemon juice to prevent browning), hummus and vegan cheeses are delicious fats to include. Just be sure your food item travels well or are packed with a small ice pack if needed to chill a bit. For long trips like picnic or road-trip hiking, nut butter sandwiches are ideal since they do very well unrefrigerated. 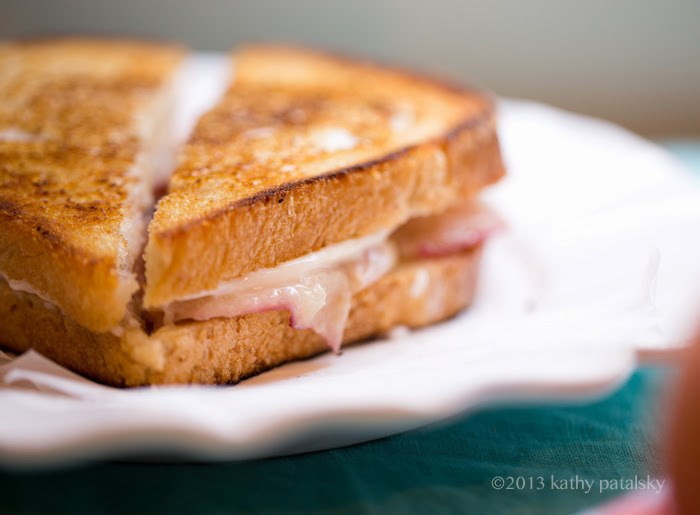 * PBJ Club - serve a crowd! 4. Healthy Fat Snacks. Again, more healthy fats for snacking! Nuts are very welcome on a picnic, and on the journey to get to your picnic spot. I like to blend my very own custom trail mixes using nuts, seeds, superfoods like cacao nibs and dried fruit from my pantry. I toss the mixture in a large bowl and funnel it into a glass "milk" bottle. Instant travel-friendly trail mix. If you need a lighter (non-breakable) package, you can use small plastic baggies or reusable lunch containers to pack your trail mix. 5. Treats! Sweet treats taste so good after a savory picnic. Even a tiny sweet nibble is a welcome closing bite. I love bringing bakery goodies like vegan muffins or homemade vegan cookies. (We splurged on vegan donuts as seen in my beach picnic photo. Fonuts in West Hollywood.) Small on-the-go packs like Snackimals cookies from Barbara's Bakery are also perfect. I also like "bars" like Luna Bars dipped in chocolate or dessert-flavored Lara Bars. 6. Drinks. You can never go wrong with water. Use a BPA-free water just to bring as much water as you need for your journey. That fruit you packed can also be used to quench a thirst. Coconut water is also perfect for hydration, although does taste best chilled, so consider that when packing your picnic. To give your water a tasty spin, add some chilled lemon slices, chopped mint and plenty of ice cubes to your water bottle. By the time your get to your picnic spot your water will be gourmet-tasting Mint-Lemon Water! 7. Plates, Napkins, Silverware and Such. For best picnic results, choose foods that can be eaten right out of the containers you packed (choose mini 1 person containers). Things like sandwiches can be wrapped in easy plastic baggies or even better, reusable containers. Try to choose foods that do not require much silverware. My best tip for napkins: pack a cloth napkin for each person. These are light enough to tote back and are more heavy duty that paper napkins. 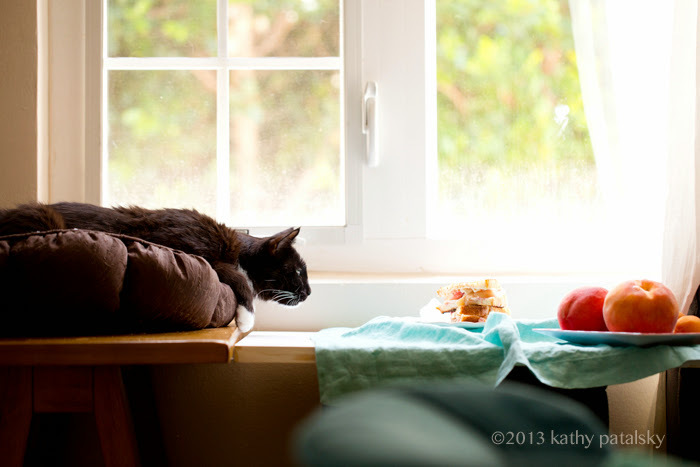 Cloth napkins can also act as a sort of soft tray if settles on your lap or a picnic table. And in a windy location they will not blow away - so you avoid the whole "giant stack of paper napkins blowing into the wind" scenario! 1. 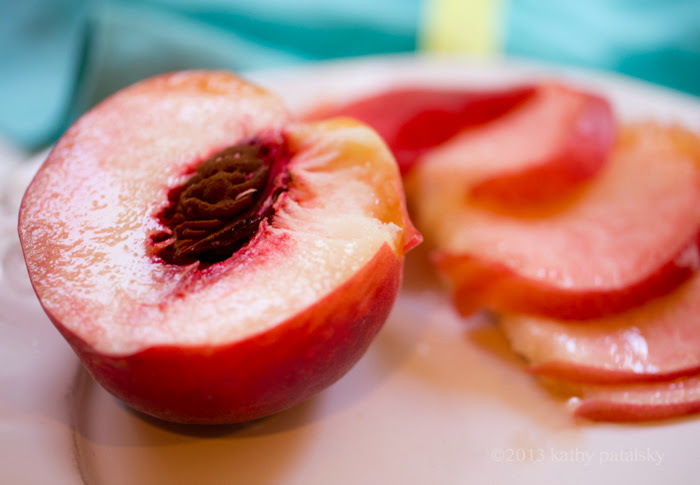 Slice your peach and set aside. 2. Spread the vegan butter (or sub mayo) on the outer sides of your bread. 3. 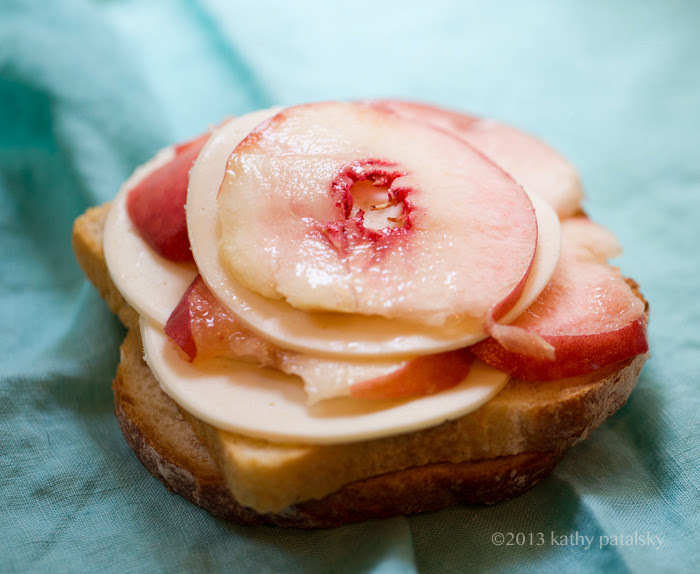 Layer the cheese and peaches on one slice of bread. Drizzle the maple syrup over top the last peach slice you add and add a pinch or cayenne. Cover with top slice of bread and prep frying pan. 4. Warm a frying pan to med-high. Add 1 tsp vegan butter - or sub with extra virgin olive oil or another veggie oil like sunflower. 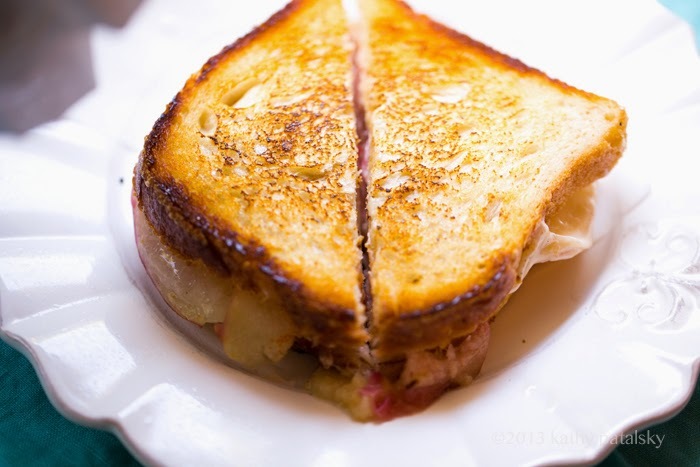 Add your sandwich to the pan and cover pan with a lid so the heat stays near the sandwich and melts the cheese. 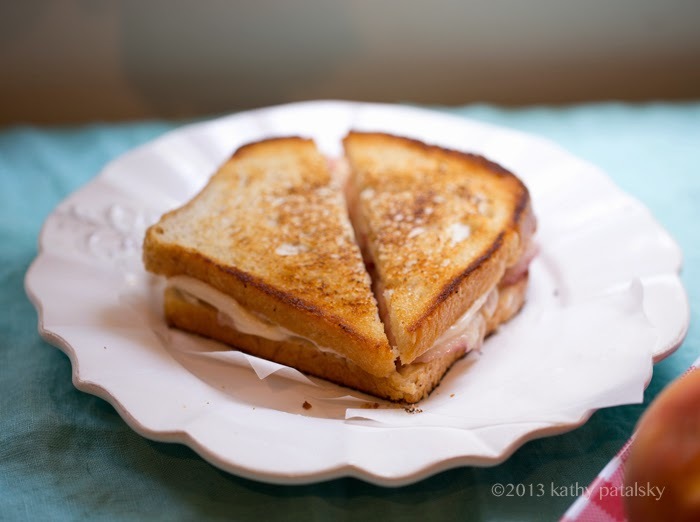 Flip sandwich and continue toasting. Uncover sandwich for the last few minutes of cooking to crisp and toast up the edges of the bread. Panini Press: an easier way to melt cheese and create an amazing grilled cheese sandwich is to use a panini press. Perfect results every time. You could also use a handheld sandwich/grill press with your saute pan. HHL BOOK + TEE GIVEAWAY! I am so thankful for having such amazing readers that I cannot help but to host as many giveaways as I can this summer! I was thrilled to giveaway $2k in smoothietude prizes. And here is another small thank you giveaway to you guys for being so supportive during my book launch summer! One winner will receive a signed copy of my book + an aqua HHL tee. Enter below!.. Don't worry she didn't swipe my sandwich. She knows a good thing when she smells it though..
*This post is part of my summer series, sponsored by the Nokia Lumia 928, Microsoft phone.